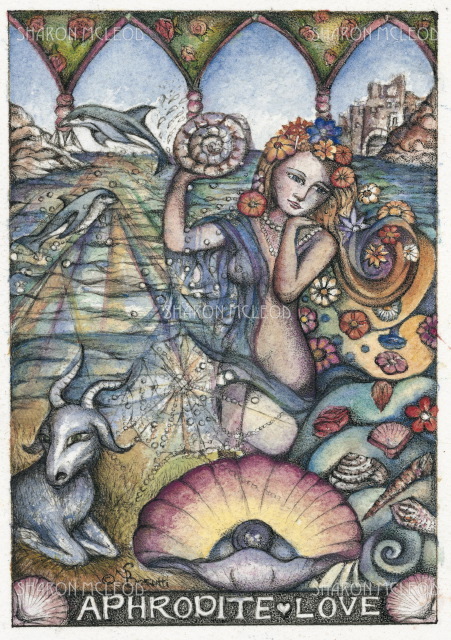 Aphrodite rose from the sea to become the Goddess of love and beauty. She is known for her captivating looks and eternal youth. She was also connected to the process of rebirth among nature and humans.